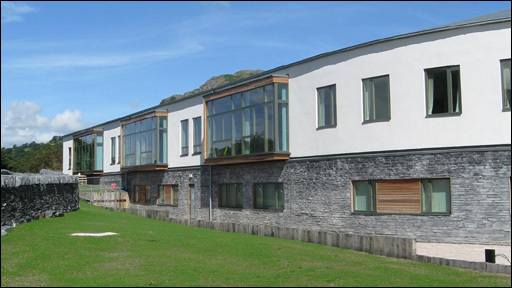 Continuing the theme of Welsh excellence, a new hospital has just opened in Tremadog. 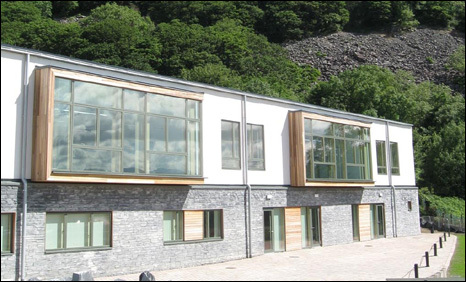 The pictures show something that looks very well designed, but I was rather disappointed to read that the patient accommodation was described as one large mixed ward. Wasn't this a retrograde step? 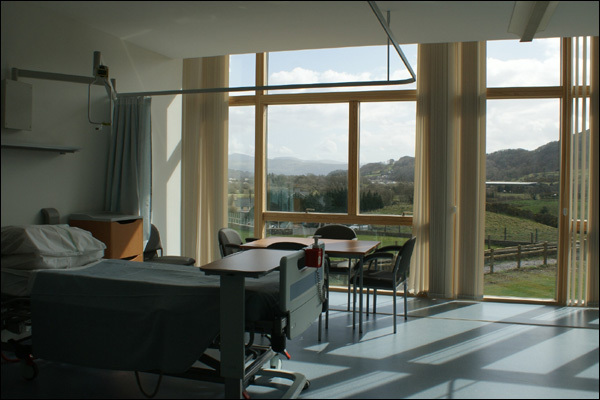 If you recall, the new hospitals that are currently being built in Gwent [see here and here] have single room accommodation, which I think is a tremendous improvement for patient comfort and dignity, not to mention the advantages it has in controlling the spread of infection. The "ward" is really better described as a wing which seems to contain (if I've read the plans correctly) ten single rooms with ensuite facilities, and five rooms for up to four patients each, each with their own bathroom. The green roof and biomass heating system also appeal to my Plaid Organic side. So, this gets pretty close to top marks in my book. 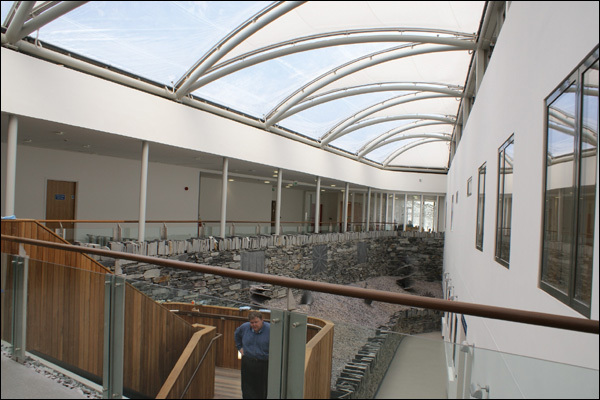 This is another good model of what a community hospital should be. A shame about the delays in opening, but the building will probably be there for at least fifty years, if not a hundred or more. The old hospital was originally built in 1842 as a workhouse, and converted to a care home in 1954 before becoming a hospital. High time it was replaced. Well done to all those concerned for replacing it will something excellent rather than something mediochre. Yes, it's an excellent hospital but on opening day staff spent time trying to find the Clinical Waste Unit, but it transpires that this was omitted at the planning and design stage. There is now a proposal to build this facility between the hospital and the school next door which is being opposed. At present therefore clinical waste has to be transported to Ysbyty Gwynedd in Bangor for disposal. 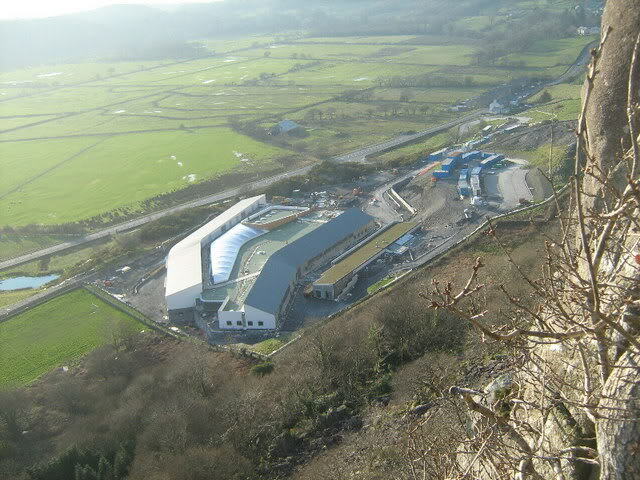 Secondly photo 3 in MH's original post shows the 'green' roof of the works unit and if you look carefully there are about three white dots on the roof - sheep - who are attracted to the alfafa grass growing on the roof. This may have some hallucogenic effect on sheep as one threw itself off the roof and landed on a builders van below. Fortunately it did not land on one of the patients!